Welcome to B.A. Ramirez & Sons Ornamental Iron Works Inc.
B.A. 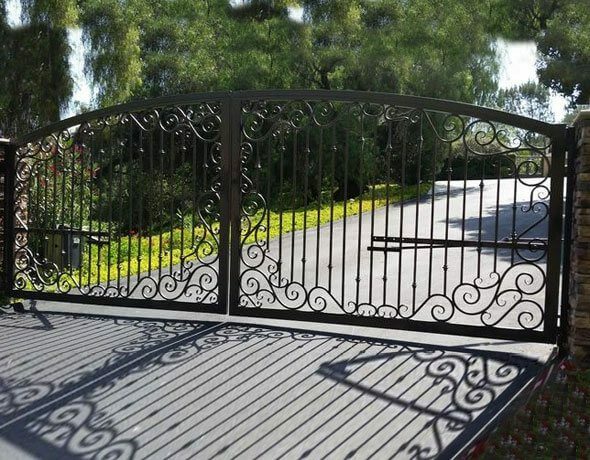 Ramirez & Sons Ornamental Iron Works, Inc. is San Diego's best value for iron fences, gates, doors, and enclosures. 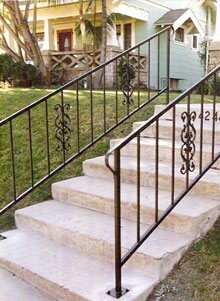 We are a second-generation ornamental iron contractor that has served thousands of satisfied clients since 1980. 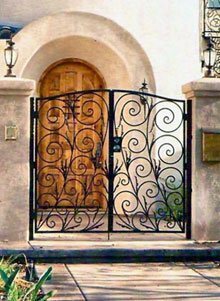 With employees that have between 30 and 50 years of experience, our ironwork expertise is virtually unmatched. This means that we know how to advise our clients so they can successfully achieve their vision while staying within their budget, without having to compromise on quality. Our highly skilled craftsmen specialize in creating beautiful, lasting, and functional pieces that integrate seamlessly with the look and design of homes and businesses. At B.A. 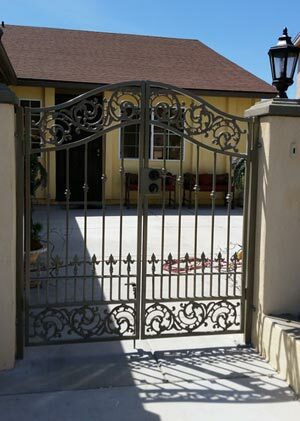 Ramirez & Sons, we welcome a wide range of ironwork projects, from a single ADA-approved steel handrail for a small business, to highly-ornate iron fencing and automated driveway gates for a large gated community. 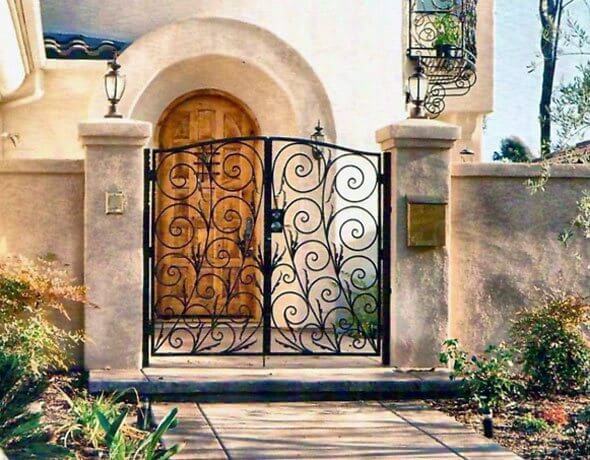 We're frequently contracted to make custom-designed, ornamental and wrought iron fences, gates, entry doors, handrails, stair railings, guardrails, window guards with code-approved fire releases, and decorative enclosures (an exterior gate/door that is set apart from the front door to control access to a home or business). 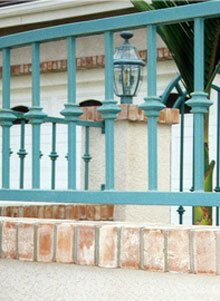 These pieces can be hand-forged out of tube or solid; embellished with iron casting details; and then hot-dipped galvanized, metallized, or powder coat finished, for rust protection. Our clients can choose from 100s of powder coat colors or request a sprayed-on, liquid epoxy paint finish if they want a custom color. Additionally, we can install your choice of automated gate operators, access control systems, and/or hardware (locks, handles, door knobs, deadbolts, and more). 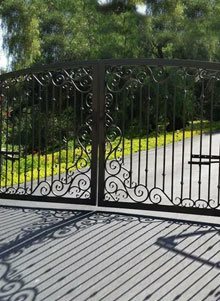 In all cases, we can either replicate a fence, gate, door, railing, or window security bar design using a picture or sketch, or we will custom design one for you based upon a few different elements pulled from multiple pictures. As we develop and build your structure, we'll ensure that any weak points are addressed; you are made aware of opportunities to improve your design or save money; and that our ironwork meets all applicable building codes, ADA requirements, and homeowner association CC&Rs. Contact us today for a free online consultation and online estimate. You are welcome to give us a call, send us an email, or send us a fax with your project details. B.A. 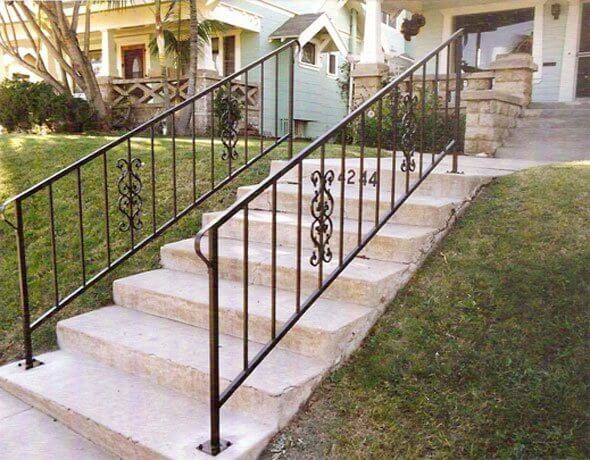 Ramirez & Sons Ornamental Iron Works, Inc. holds a C-23 ornamental metal contractor license. We are fully bonded and insured, and we back all of our steel products with a two-year warranty for both labor and materials. 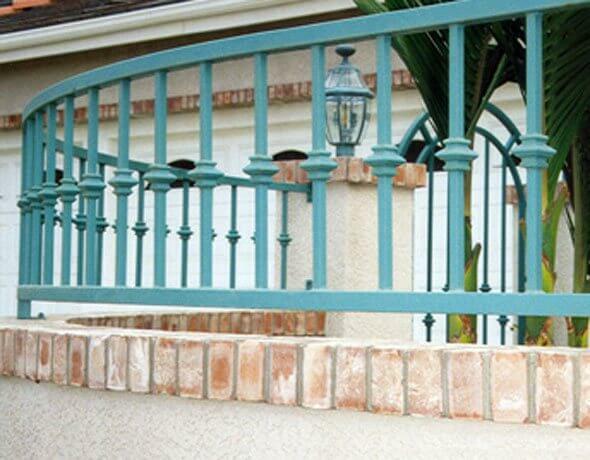 This iron railing in Carlsbad, CA was custom built based on a design that the homeowner created. Simple straight lines with a ornamental knuckles, a decorative cap rail with artistic end returns, and a black powder coat paint finish made for a beautiful finished product. 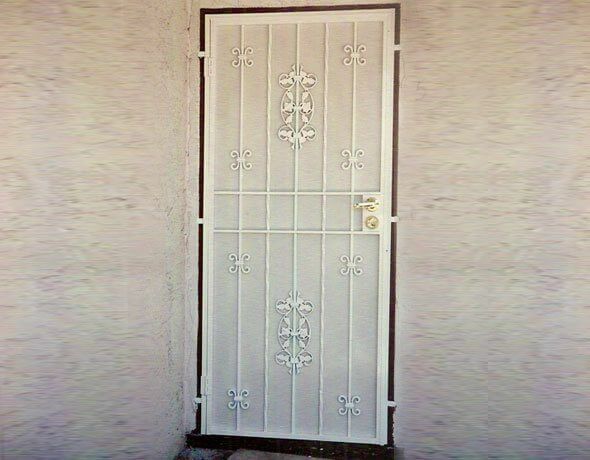 This custom made hand forged security screen door installed in Chula Vista, CA has a 1.5" x 4" frame. The frame is fitting for the decorative designs that have been hammered and shaped to fit the frame. A black "hammered" look powder coat paint finish has been applied to give it a rustic old look. 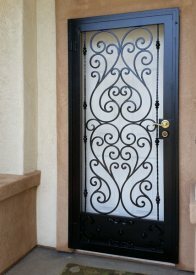 The designs are unique and give the security door a beautiful appearance. We recently installed this double courtyard entry gate in San Diego, CA. 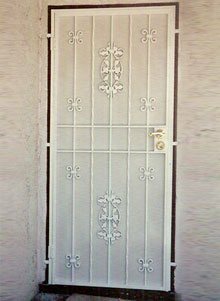 Made using 1" square tube for the frame and 1/2" square tube pickets, the gate is designed to keep unwanted guests out and the owners friendly pets in. The decorative designs are made of cast aluminum. The castings are highly detailed and give a old world look to this beautiful gate.